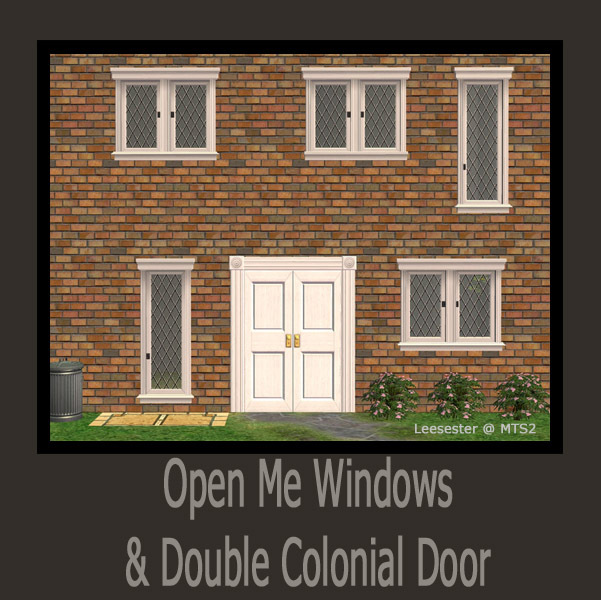 The door is a remesh of the base game interior colonial door, and is base game compatible. It is a fabulously cheap 400 simoleons, and it is repository linked to the original door and so picks up any recolours you may have of that door in your downloads folder. 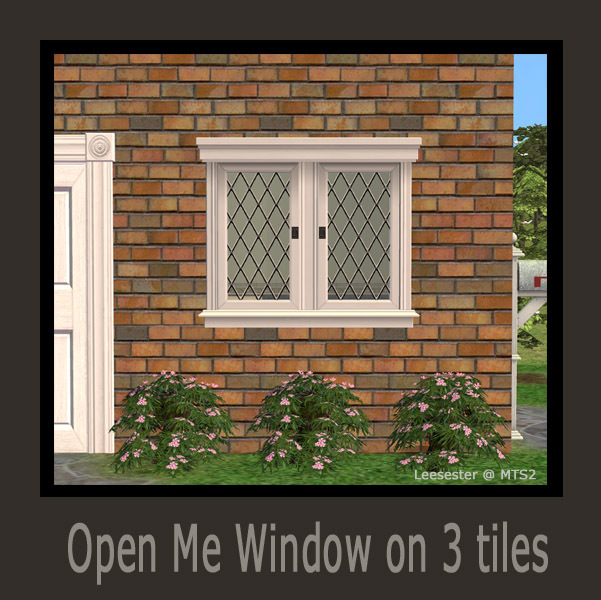 The 3 tile window is repository linked to the NL window and so will pick up any recolours of the Open Me window you have in your downloads folder. 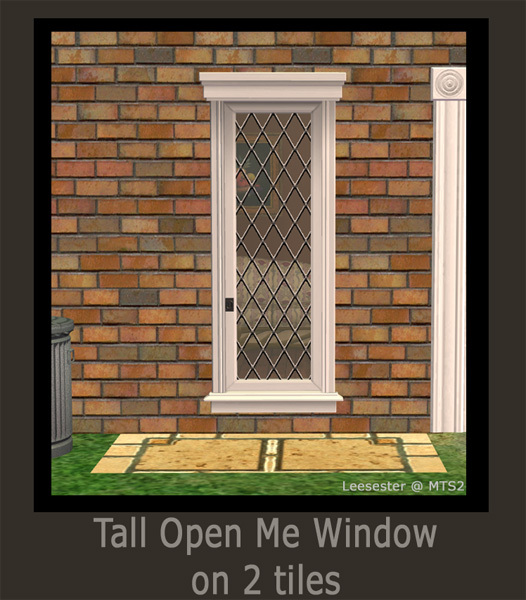 The tall window is a repositioning of an original remesh by Windkeeper; her original window (which was a remesh of a Maxis original) can be found on TSR. This is just a 2 tile version of that mesh and I have credited Windkeeper's work in the object. This window is repository linked to the NL window and so will pick up any recolours of the Open Me window you have in your downloads folder. I'm not going to download these, only because I have been using them in my game for quite some time now, however, I am going to take this opportunity to say a very big thank you to Lee for them. Thanks Shell, I was actually testing the tumblr posting; something seems to be broken, not sure WHAT.